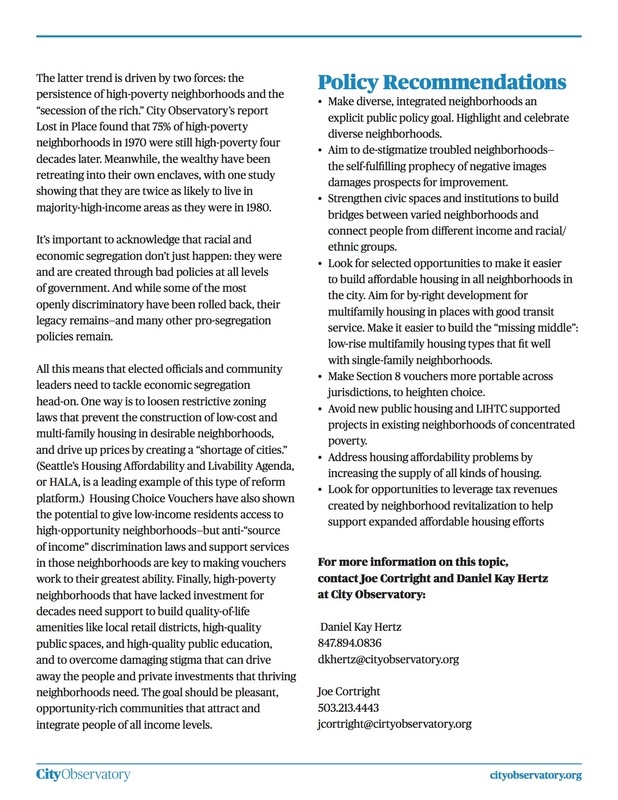 One role we hope to play at City Observatory is translator: taking some of the best, most rigorous research on American cities and urban policy and turning it into smart, sophisticated, and readable pieces that can inform people actually working on the ground, from community organizations to policymakers. So far, we’ve done that with blog-style commentaries and longer, more detailed reports. But to provide an even more practical, directly usable product, we’re introducing policy memos: short, action-oriented pieces focused on a particular public policy lever or goal, and formatted to be easily printed or shared. 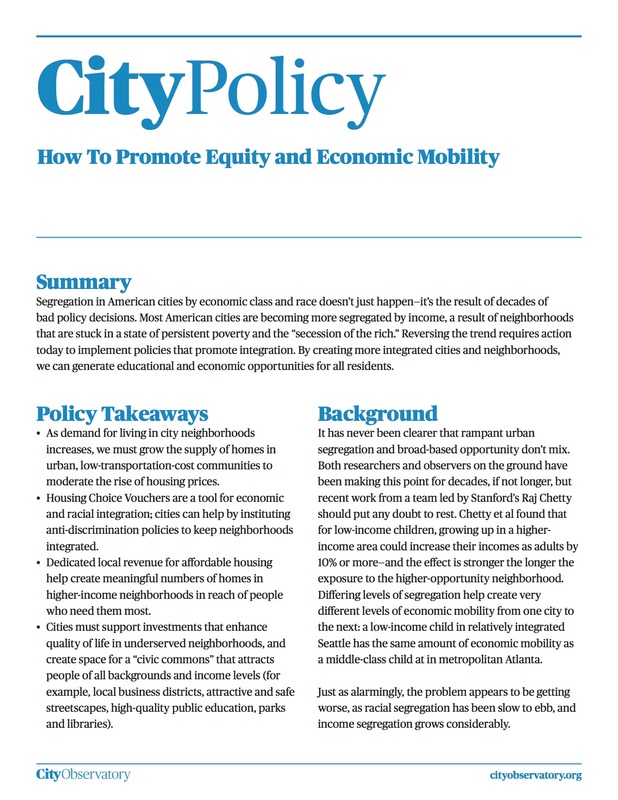 Our first memo covers what should be one of the most fundamental aims of urban policy: to create equitable cities where everyone has the ability to reach the economic opportunities they need. We invite you to take a close look at this memo, share it with colleagues, and let us know if you think we’re on target—both with its tone and organization, and in terms of the substantive content. Look for more policy memos in the weeks ahead.